My dad is Irish. My mum is Welsh. I live in England. But you’d be forgiven for thinking that I had some Scottish blood for all that I go on about it, how much I love it and over the past two years, how much I have visited. Thing is it’s got all the things that I love the most: hearty food, dramatic landscapes, ancient architecture and a sense of adventure. 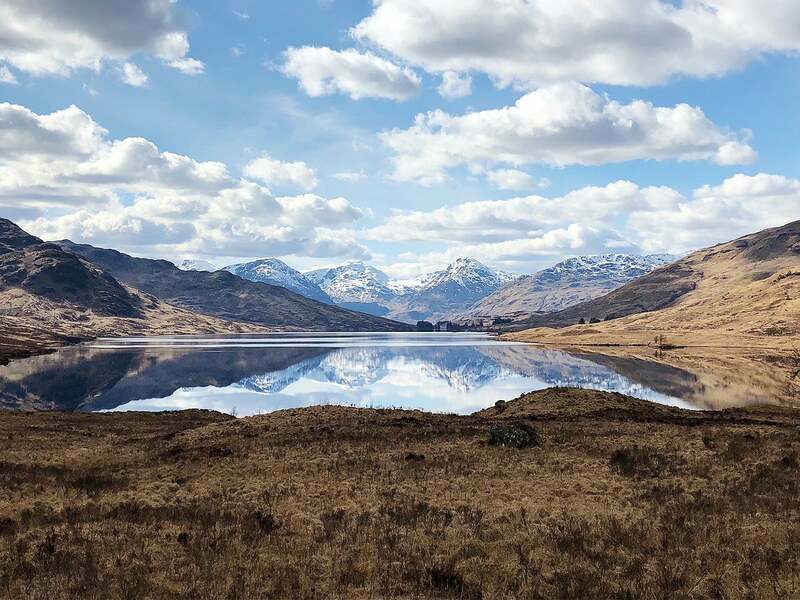 I also have family who live not too far from Trossachs National Park so Bank Holidays are a great excuse to drive up and visit them. From Milton Keynes it takes 6 hours in the car: sure it’s a long drive but manageable. We spent three wonderful days this time. Q and I visited here on our Mini-moon and it was so damn delicious that we made plans on day one of our trip to visit Edinburgh for the day and return! 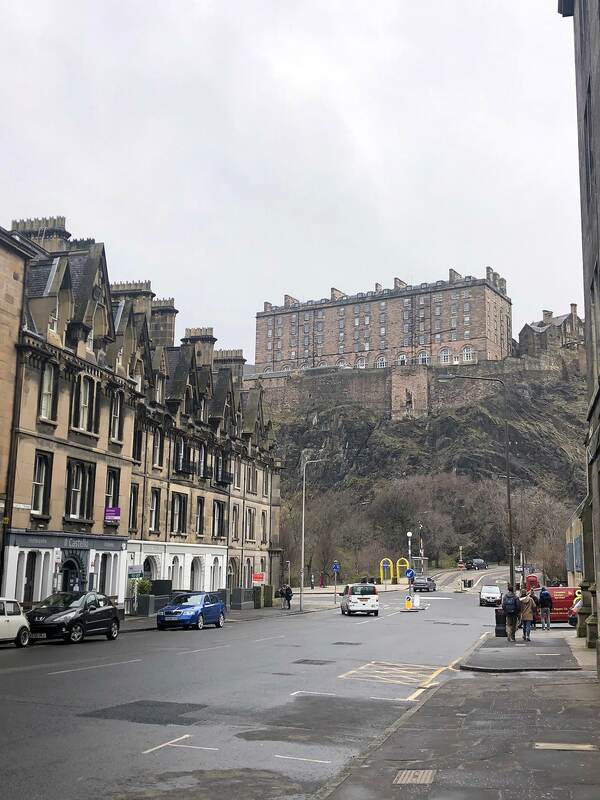 Edinburgh, as with every time we have visited, was cold and wet. Bread Meats Bread, just like the last time we had visited, was crammed with people eating and hungrily waiting to be seated. 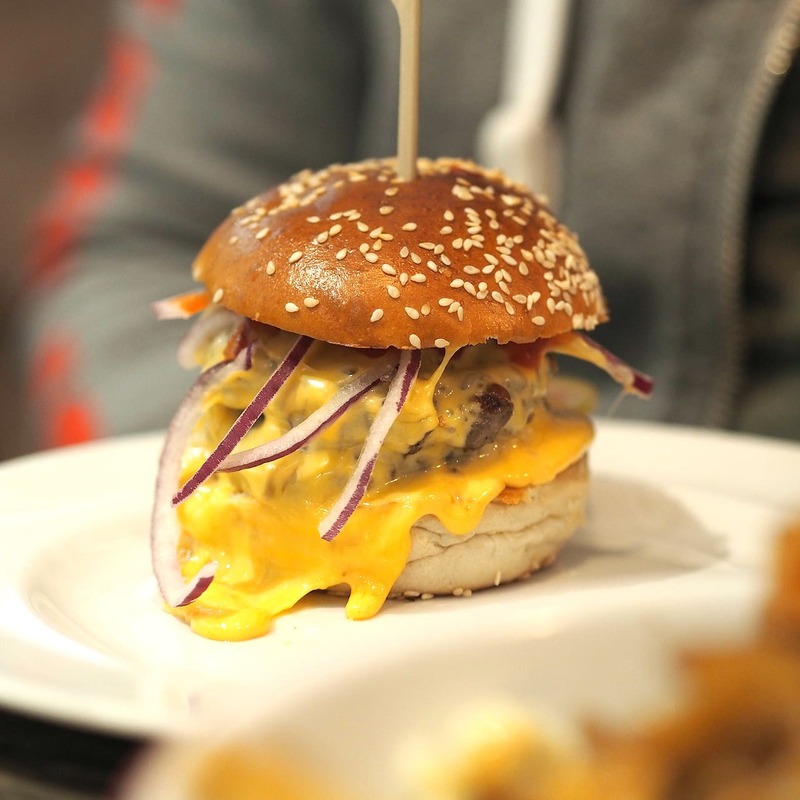 They can be found only in Edinburgh & Glasgow so if you’re a burger lover and find yourself in Scotland I highly recommend a visit. 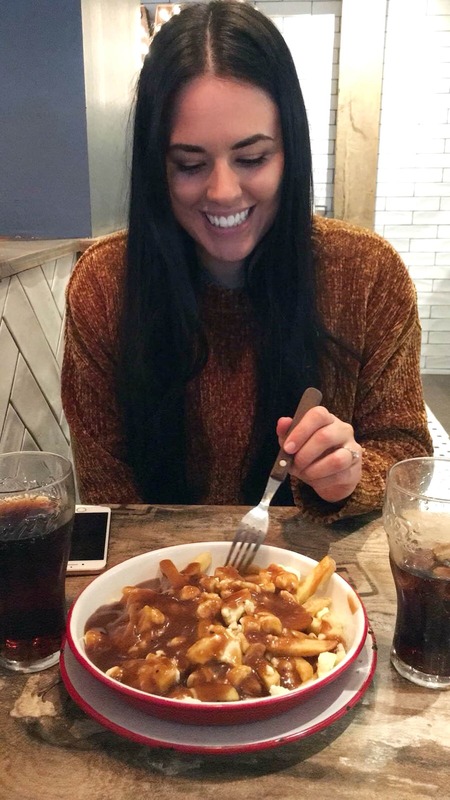 The menu is a glorious selection of beef, chicken and lamb burgers Best of all they serve Poutine: a Canadian dish of fries covered in cheese curds and gravy. In other words chips, but better. So much better. Yes it looks a right mess but trust me, that peppery gravy is just unreal! Pure heaven on a cold day. Make sure you share between two because they’re big. This was the biggest plan in our trip. I’d heard the legends of how beautiful Glencoe is and I’m so so happy to have finally visited and experienced it for myself. The drive in is insane: long straight roads cutting through the planes of grassland and lakes, with mountains rising up either side. 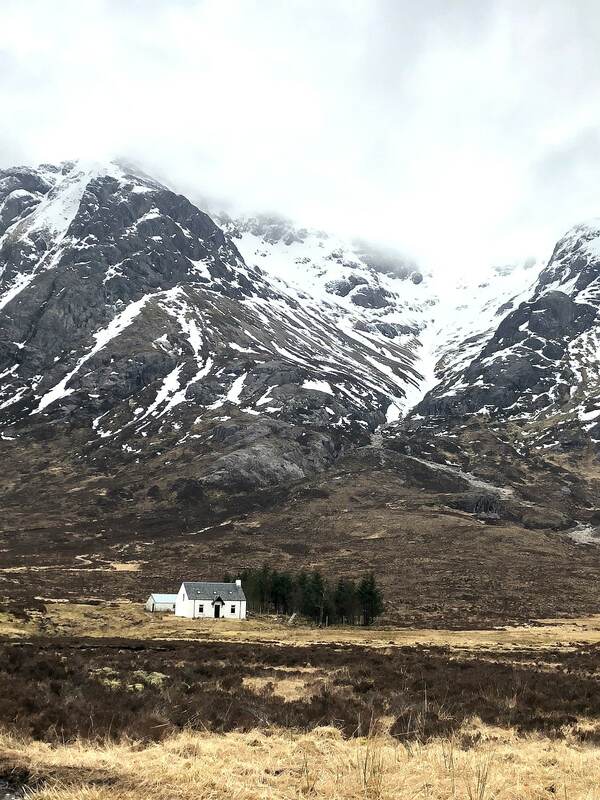 With the exception of the odd house dotted about that makes you think how anyone could live so remotely, Glencoe feels wild and rugged. We arrived at the base of ‘The Three Sisters’ where we had planned to take a recommended hike up between the first and second mountain, to find what’s named ‘The Lost Valley‘. Cue intense Hobbit-like excitement! I love how much more outdoorsy Scotland is. 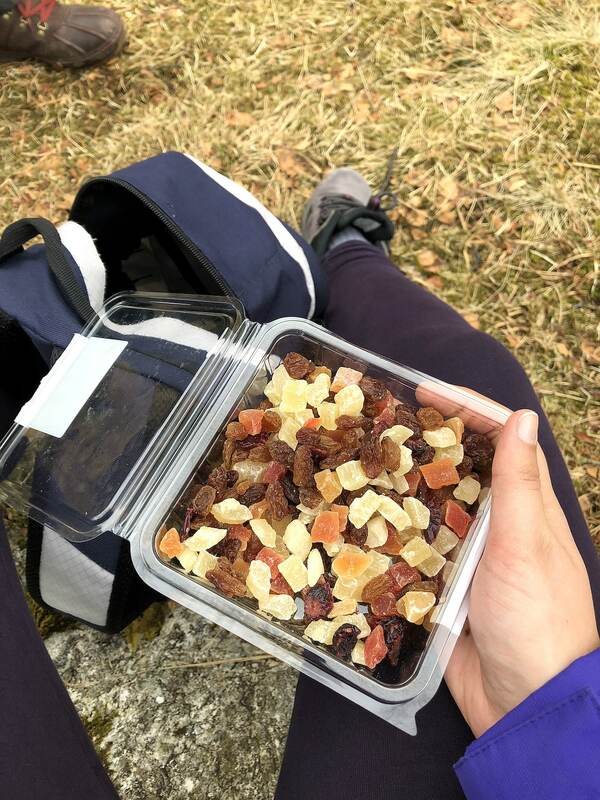 Even the most remote of petrol stations is geared up for hikers with shelves of trail mix and energy bars. I cannot get enough of dried pineapple! The Lost Valley is a short but sharp hike to the top. It only takes an hour (maybe a little more) but involves plenty of fun obstacles. 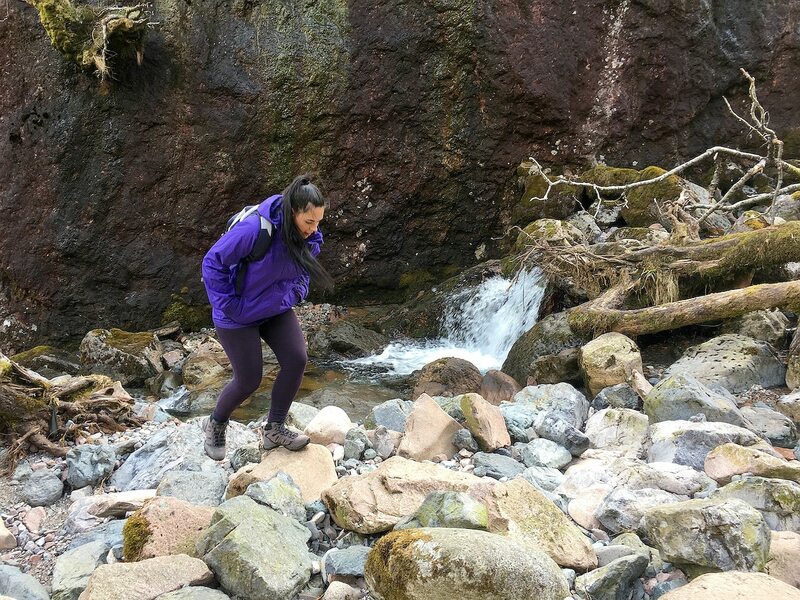 We hopped rocks over streams, climbed through crevices between boulders, swung off trees and scrambled up rocky slopes. Agility is needed more than endurance for this one. One of the most fun hikes I’ve done! We found this cafe on the way back home from Glencoe. 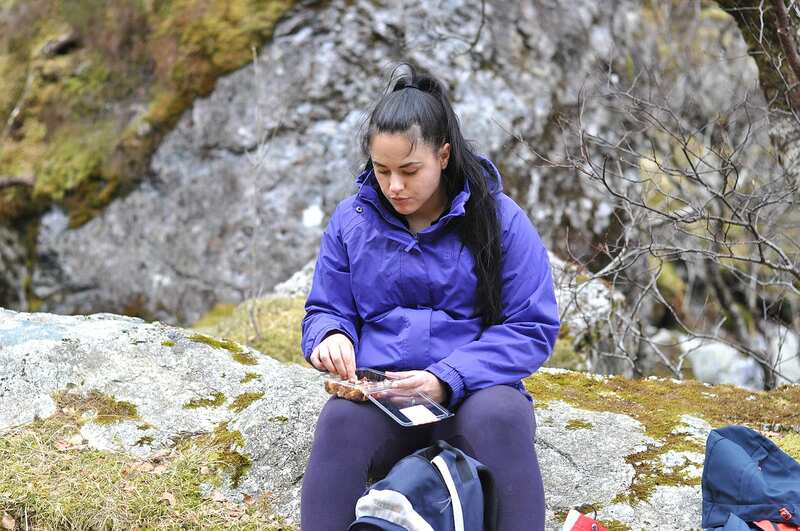 It had starting snowing a little once we’d reached the top of our hike so needless to say we were both craving a hot meal. Mhor 84 is incredibly popular but it’s also got plenty of seating. It’s a lovely homely menu plus there’s a really good looking cake display. 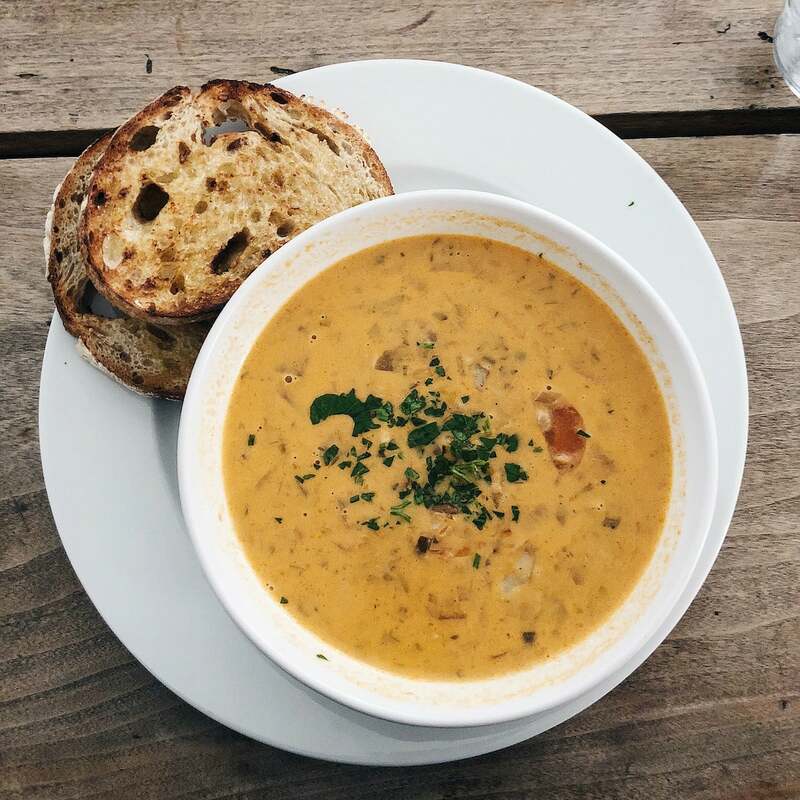 I enjoyed a comforting smokey seafood chowder and sourdough for just £8.50. On Easter Sunday we visited Loch Katrine. Spring blessed us with its presence and this little corner of Scotland looked and felt like absolute perfection. I couldn’t help but let out a few sighs of contentment. 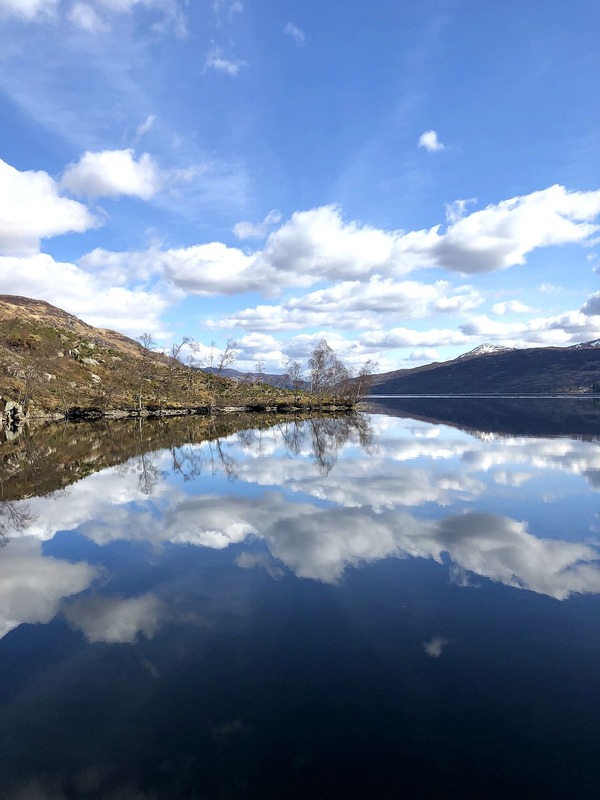 The most beautiful site at Loch Katrine is the mirror-like water. It’s like nothing I have seen before. Oh Scotland, you steal my heart every time! 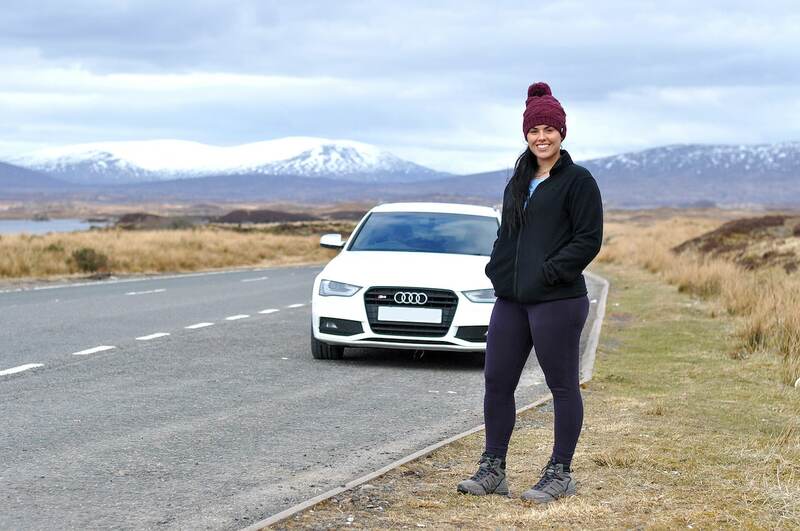 If you’re visiting the first half of Scotland I personally think driving there is best. It’s cheaper and less hassle than airports, plus you’ll have your car with you for exploring as you please and trust me, you’ll want to explore. Drive up in the evening after work; the traffic will be lighter than the weekends. Plus, whilst you’ll arrive around midnight and be pretty sleepy, it means you don’t waste a day off to travelling. Tebay is an award winning service station and worth book-marking for a pit stop. It is expensive, but with a farm shop and kitchen there’s access to wholesome food rather than the usual junk. There’s also a lovely view from their dining area. Pack sensible: sturdy shoes and a waterproof. Like I say Scotland is much more outdoorsy and the weather can be (is likely to be) very wet. I’ve often spent days out in Edinburgh in walking boots and not felt out of place! If you go hiking go early to enjoy your adventure with minimal crowds. Plus you’ll be back in time for lunch. Black pudding in Scotland is next level. Order it. Haggis is bloody delicious. Order it. Walks around Lochs are beautiful but can be very long. Remember that every step out is a step back if a circuit isn’t possible. Airbnb is my absolute favourite for finding lovely accommodation. Don’t leave your front door without your camera. Ever! As always, great post! 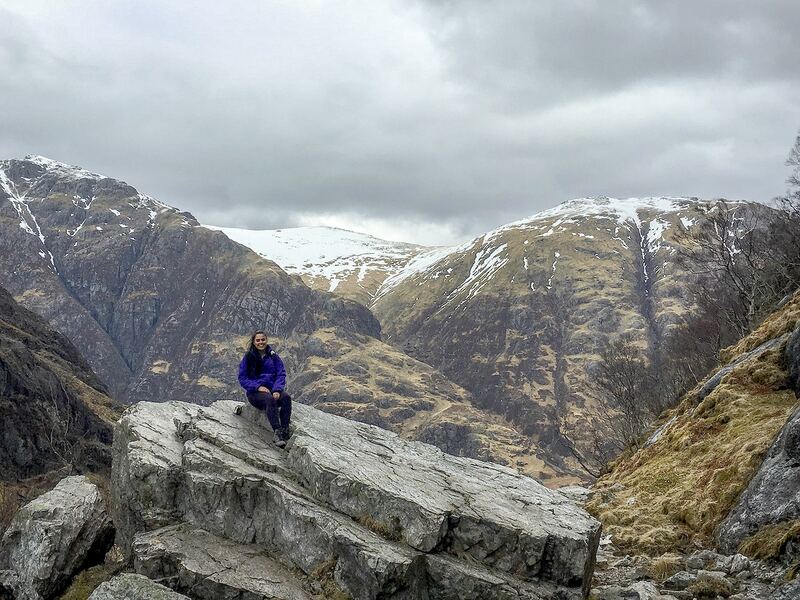 I’ve been reading this and closing my eyes remembering my visit to Glencoe last year, which was different from yours as I’m not an adventurous hiker (yet!) but was absolutely amazing as it was June and the weather was beautiful. This has made me daydream of visiting Scotland again soon (my boyfriend is a scot so it probably won’t be long hehe). And now I have all these additional tips on where/what to eat!